A cool breezy morning in Foxford, looks like a good day for the Bubble and Fly. The river is at 0.44m at Ballylahan bridge. Fisheries downstream of Foxford are at a level where fish will start to hold and spinning should be well worth a try. Unsettled forecast for the next few days and we may see some fresh water before the weekend . A relatively quiet bank holiday weekend on The Moy. Not a huge amount of angling effort and no big numbers of fish taken. Nearly all who were out reported seeing fish. Perhaps the East wind is having an effect,who knows. There are fish moving and water conditions in general are pretty good. East Mayo anglers is starting to get a little low, for spinning and worm at least. It is still in good order for Fly or Bubble and Fly. Well worth a try. Another beautiful bright,dry morning in Foxford. 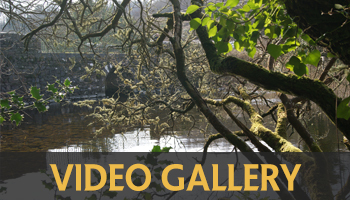 The River is at 0.65m at Ballylahan bridge and is suitable for all methods. In Foxford and further downstream it is reaching a level where fish will start to hold. Over the past few days the most fish have been taken on fisheries upstream of Foxford and most angling activity has been on Cloongee and East Mayo waters. Over the weekend we will see this change as more anglers try the fisheries downstream. Rinnanney, Armstarongs, Gannons and Knockmore fisheries are all likely to produce fish in the coming days. Looking like the weather has improved, a dry fresh morning in Foxford. Reports of at least 4 salmon yesterday and the river is still coming into better condition. If things continue like this it will be a good weekend on the Moy. At present it is at 0.84m at Ballylahan bridge with slight colour in Foxford. All methods should work. or worm fishing up stream of Foxford will be the best methods. 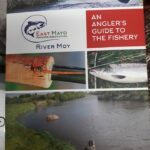 East Mayo Anglers have produced a very useful guide to their waters copies of which are available at our shop.